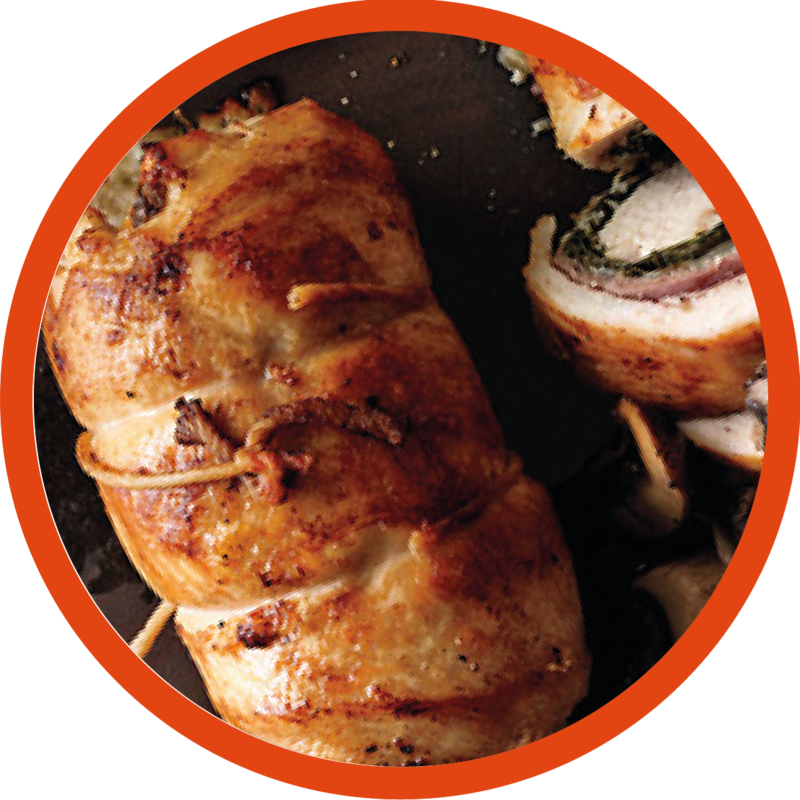 A spicy Italian chicken roulades with fresh herbs and tomato sauce. Slice each chicken breast fillet through the middle to make 2 thinner fillets. Then pound the chicken fillets using meat mallet or wooden rolling pin. Spread out the flat chicken fillets on a work surface. Put half of parsley on each slice, then add parmesan and garlic over each slice. Season with black pepper and salt. Roll up the chicken fillets into roulades and secure with toothpicks or small skewers. Heat butter and olive oil in a large griddle pan over medium heat. Grill chicken until golden brown, about 6 minutes on each side. Don’t cook it completely. For sauce, heat some oil in another flat pan and add remaining parsley, the mint, bay leaves and rosemary. Add tomato puree, sprinkle red chilli and salt. Cook for 5 minutes then add chicken roulades to sauce. Cover the pan and leave to simmer over a gentle heat for 20 minutes until all the roulades are cooked. Serve hot with fresh green salad on side and garnish with basil leaves.